There’s a good chance you’re already familiar with Ian Mangiardi and/or Andy Laub. Seven years ago, by the fate of the Internet overlords, I was put in touch with Ian prior to my AT thru-hike. 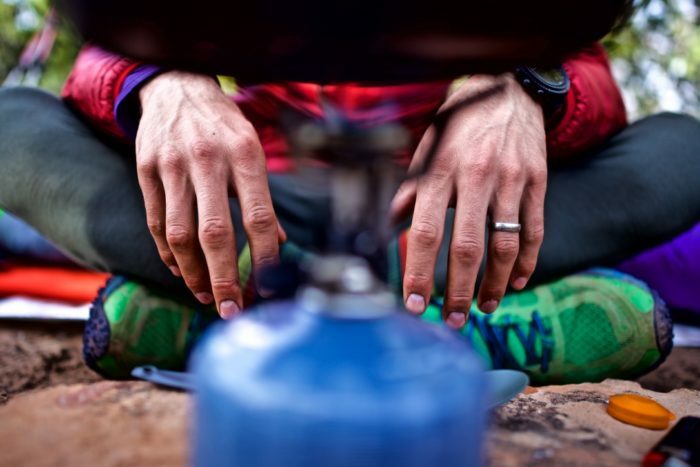 In no uncertain terms, he went onto become my pre-trail therapist and gear guru, later going onto write the gear chapter for Appalachian Trials. You may better know them by their trail name combo alter ego- the Dusty Camel. They met in 2009 as complete novices on the southern end of the Appalachian Trail, and went on to hike the entire trail together, becoming the first thru-hikers to finish that year. 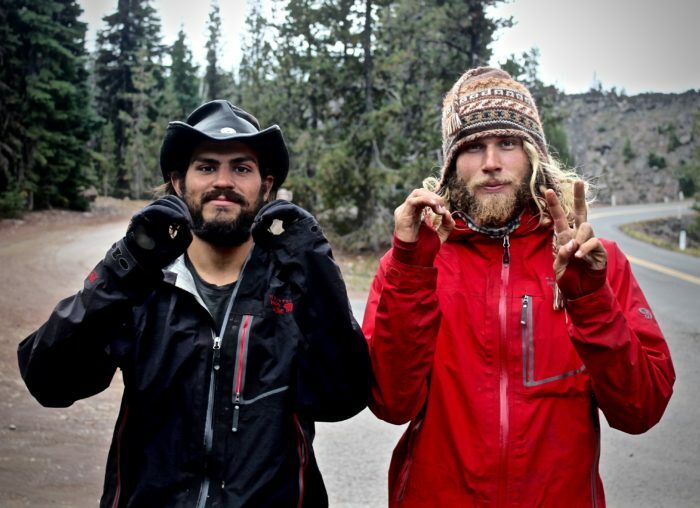 In 2011, they set out on the PCT with the mission to record their journey and inspire others. 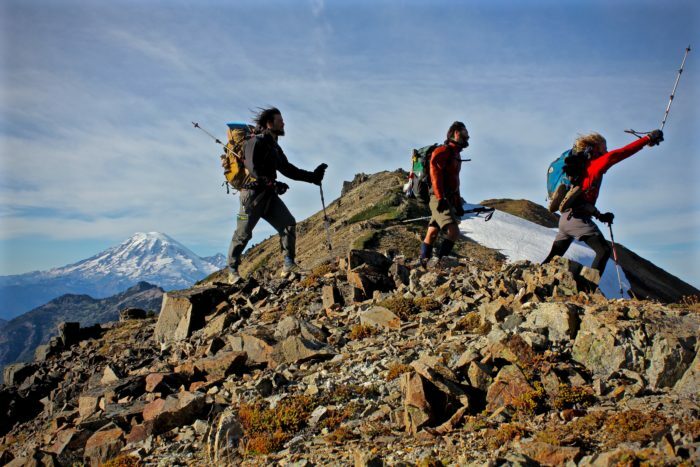 The resulting documentary, As It Happens: Pacific Crest Trail racked up half a million views worldwide, and spread the magic of a first-hand trail experience. 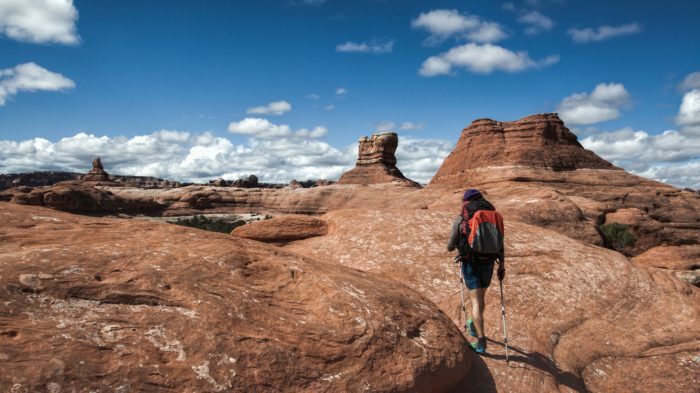 Five years later, and they’re back at it, this time on the 800-mile Arizona Trail. There’s a catch: Ian isn’t planning to resupply. That’s right…. he’s planning on carrying all of his food from start to finish. We caught up with the duo and learned about their food strategies, the reason behind their journey, and what we can expect from their planned documentary. 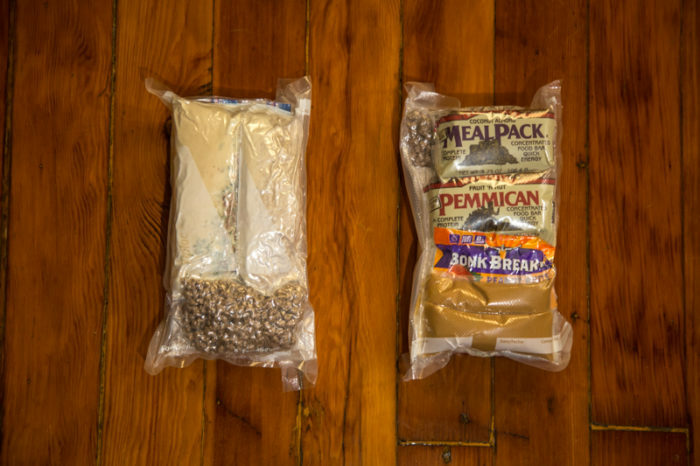 The Trek: What’s the reasoning behind hiking the AZT without resupplying? IAN: Because I am crazy, obviously…. But in actuality, it’s to give a differing experience to those I’ve already had. I know what to expect from a thru-hike, as I’ve done two. Since this is a shorter trail, I was really keen on a unique perspective on the AZT. Thus, a winter, self-supported thru was what I decided to reach for. My main reason for a thru-hike is simply to reset my body and soul. I need some time to take a step back from the world in its current state, and focus on the beauty and majesty of this great nation. The more I come into towns and civilization, the less I’m immersed in the full grander of the American South West. One of the most beautiful aspects of a thru are the people and places you experience, but I’m in this one for an entirely different adventure than a standard thru. ANDY: Ian is a crazy man. I will be taking advantage of every grocery store, post office, pizza shop, trail angel dinner table and pub along the way. TT: What do you anticipate will be the biggest challenges of not resupplying? IAN: Weight. Weight… and oh yeah, did I mention weight? I’m carrying nearly 60 pounds of food in my bag. I’ve tried to keep them as fresh and organized as possible by vacuum sealing each and every day individually. But man oh man, at 1lb and 9 ounces per day, it adds up quickly. But hey, the silver lining is my pack weight is ALWAYS decreasing! TT: How does this affect your planning for miles and time? IAN: I’m carrying 38 days worth of food (an average of about 20 miles a day), and intend to push that mileage higher. However, I am fully aware that I will not be pushing 20 mile days for the first week at least, and I also know that things change on the trail, so if something needs to be adjusted, I have no qualms doing so. TT: Do you have a strict schedule for yourselves to ensure you have enough food? IAN: As I’m carrying my food for each day, I needed to be very strict with what I eat, when, and how. Everything is either in bar form or can be made with boiling water. And since each briquette of food is individually packaged, there’s no over eating or breaking rations! I have enough for 38 days, but I’m anticipating it taking less than 38 days..
ANDY: Schedule-wise (hate that word when it comes to thru-hiking) we have a 40-day window to complete the trail. At the end of that time, my wife will be nine months pregnant and my first kid could come any day! TT: How much food weight are you carrying? TT: How does this change the food consumption strategy as compared to a hike with resupplies? IAN: It doesn’t alter how I eat very much, to be honest. I simply took my meal strategy for the last treks, and made a single days worth of food which I then duplicated 38 times. Unfortunately, the big caveat to a no-resupply is no carb overloading while in towns. So not have that once weekly gorging of food will be interesting, but it’s much less time than our other treks, so may not even be noticeable. TT: Explain your planning process. Calories-to-weight ratio, best food choices, etc. IAN: Simple, compact, and calorically dense. Those were the three factors for my food system. Peanut butter is one of the most calorically dense foods, so I have three ounces of peanut butter per day (Around 400 calories). Meal Pack bars have about 450 calories, so I will have two of those per day with peanut butter for lunch, making my lunch the most calorically dense meal at nearly 1000 calories. Breakfasts and lunches are made with boiling water in ziplock bags to allow ease of cooking, ease of cleanup, and not needing to carry a bowl or plate. Breakfast has peanut butter in it, as well as Soylent (a protein/meal replacement powder) which will give me an extra boost of nutrients in the morning. The peanut butter will make the oatmeal more dense, burning slowly throughout the morning until lunch sustenance arrives. ANDY: I loathe bars, but love the raw ingredients – dried fruit, nuts, beef jerky, cheese, and oh yeah, tons of coffee gets me thru the days. Poor man’s pad thai for breakfast and some instant mash with freeze dried soy beans at night. And a nightcap of … more coffee (noticing a trend?). TT: How many calories a day are you budgeting? TT: Will you stop in town at all? ANDY: Most certainly. The AZT runs down the Main Street of several towns. Meeting and connecting with locals along the way is one of the best parts of any thru. 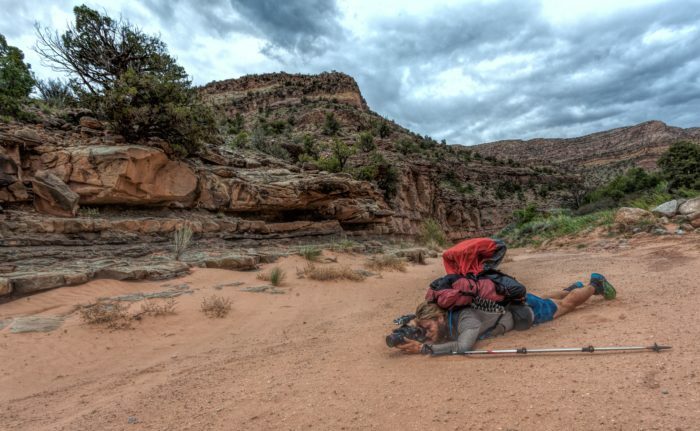 TT: How much will your pack weigh with camera equipment and all of your food? IAN: My pack weight, minus water is about 88 pounds….. eep! ANDY: Camera gear adds an additional six pounds each. Not too shabby compared to what the old timers use to carry. Their production gear typically weighed in at 50-75 lbs! My total base weight with five days of food is about 20 lbs. TT: What camera equipment and electronics will you be carrying? TT: How has your process for capturing a hike changed since the days of As It Happens? IAN: We learned a ton from filming the PCT, and I anticipate the filming being a lot smoother and cleaner than originally. As we’ve grown more accustomed to being in front and behind the camera, the entire process has just gotten easier. This will be Andy and I’s first time back at the camera together, so we will really see what goes down! ANDY: Though my experience has grown over the creation of half-a-dozen films, keeping gear simple and accessible is ultimately key. One camera. One lens. One microphone. The only production change is in my mindset and scene awareness. When it feels like you are in the middle of a tricky situation, or experiencing a memorable piece of trail magic, it’s time to pull out the camera and capture what’s happening around you. It’s the highs and lows of a thru-hike that you remember most. This is also what’s most appealing to folks watching. TT: Why the Arizona Trail? 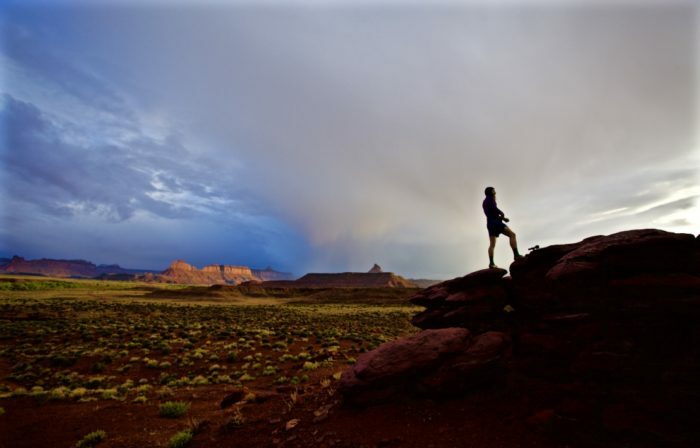 IAN: The Arizona Trail is a National Scenic Trail, fully established and blazed. This is the prelude to an adventure later in the year where we will be working to extend the National Scenic Trail north. ANDY: In 2016 I completed filming on a documentary inside Hopi Indian nation in northern Arizona. During these shoots my subjects told me about an ancient pilgrimage route stretching from the lower reaches of Arizona to the northern rim of the Grand Canyon. Over a millennia ago young Hopi Indian men began taking journeys thru the desert to fulfill a spiritual quest thru this journey. If they returned home, they were considered to be on a higher spiritual level. Since learning this, I’ve wondered what a pilgrimage to the Grand Canyon meant for ancient people and what it would mean to me personally in 2017. The AZT roughly follows this same corridor. TT: If someone offers you food (either a fellow hiker or trail magic), will you take it? IAN: Hell yeah! Give me ALL THE FOOD. TT: That’s a lot of wrappers. Will you be stopping to dump garbage? IAN: As dinner is made in ZipLock bags, I’ll put each day’s trash into a baggie to be stored until I either come across a dumpster, or a generous hiker offers to pack some out. I am prepared to carry my garbage the entire way (although I’m sure there will be ways to trash things along the way). ANDY: Yep. Wrappers are so dang bulky! TT: How will you coordinate when Andy goes into town to resupply and Ian still has 600-miles worth of food left in his pack? IAN: The resupply locations Andy has picked are just off the trail (by only a mile or two). So Andy will pop into town to get his resupply, then pop back up on the trail. He gets his food, I get a nice long break from carrying a heavy pack! TT: Did you make your food yourself, purchasing it, or a combination? IAN: Breakfast and dinners I packaged myself, and lunches are all bars. I made all my peanut butter packets… no easy or clean task. ANDY: Combo. Dropping boxes at roughly four locations. TT: How can people follow your journey? Two ways: at TheDustyCamel.org and our As It Happens Creative YoutTube channel. An 88 lb. pack minus water? Ian, you are a madman! I wish you both luck! Great read Zach! The AZT is 2nd on my list! Did they make it? Do you have a follow up article?